Fishing reports have improved over the past week, probably partially due to the increased local interest in fishing, with the new relaxed regulations. 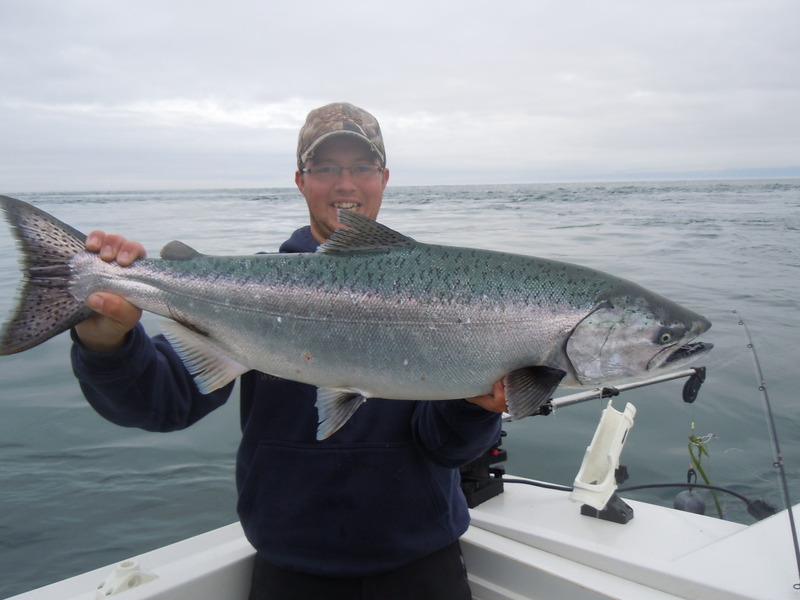 Many chinook salmon were reported caught, from Beechey Head to Otter Point, most in the teens, but some nice ones in the mid to high 20s as well. 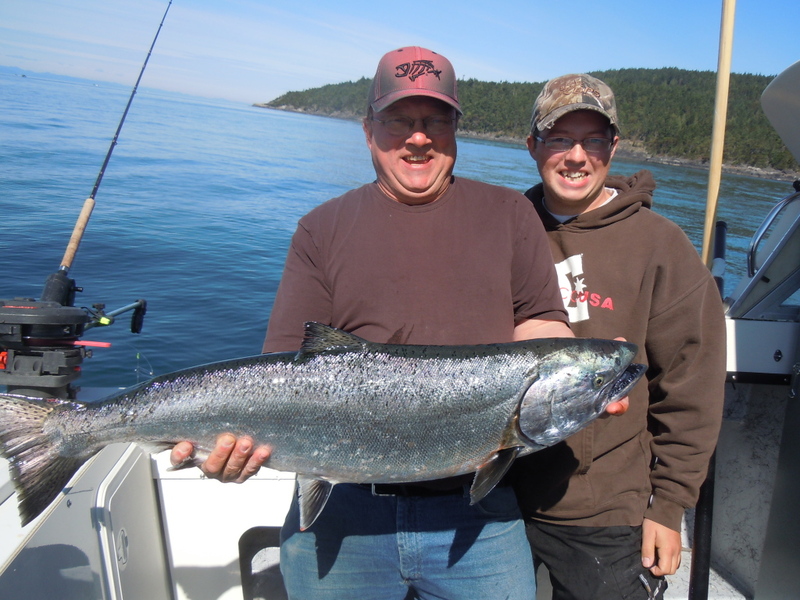 Here's a photo of Steven Crevatin with a beauty... one of three spring salmon caught at the Trap Shack, 40 feet, using anchovies. Another photo below is a 26 pound hatchery caught last week, held by Tony.